Kellie is available to come and speak to your class, school, library patrons, festival visitors and other guests on numerous topics. Sessions can cover book readings and interactive activities; workshops with specific exercises; and talks on a writer's life, publishing, storytelling techniques and more. Kellie is represented by Speakers Ink. Please contact Speakers Ink for further information and/or to make an enquiry. Kellie can speak about a variety of topics, to many different ages, from young children up to adults. Her first picture book, Cloud Conductor, addresses themes of creativity and dealing with challenging times. It also ties in to curriculum studies on the natural environment, weather patterns, the seasons, clouds and more. The book is geared towards young readers, aged around 5 to 8 years. Kellie can perform a reading, answer a Q&A, and direct a craft activity for students in prep or Grades 1 or 2. Would you prefer Kellie to speak about another, specific topic? Or perhaps you'd like to engage her for day-long programs or immersive residencies? That's no problem, just get in touch to make a request or learn more. Kellie is also part of the Greenleaf Press team, and can visit your location for events. In particular, Greenleaf organises many wonderful KinderFest events, which involve three creatives in total speaking on the day. KinderFests are 2 hour miniature literary festivals for very young children, designed to entertain young ones and educate them on the importance of reading and having books in their lives. 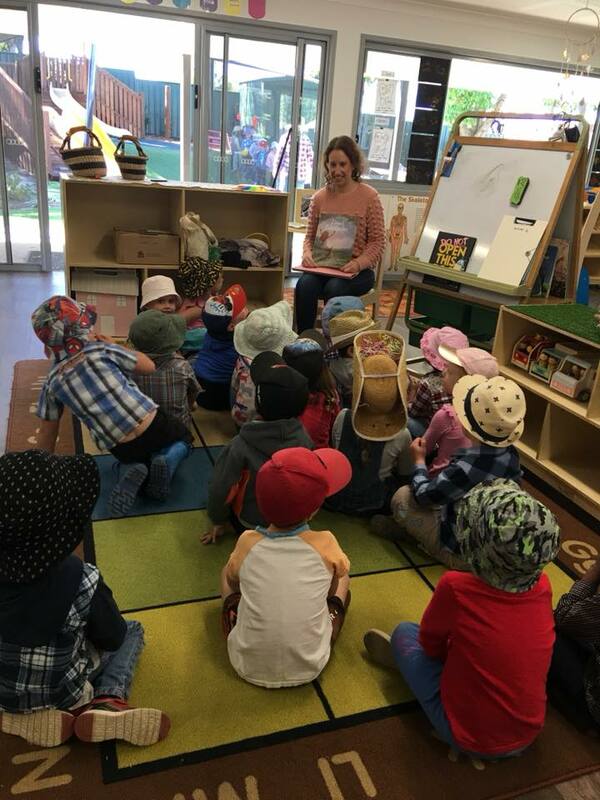 KinderFests are perfect for daycare centres, preschools, kindergartens, Pre-Prep and Prep, and for events such as Grandparent and Special Friend Days, Book Week, Library Week, Open Days, Numeracy & Literacy Week and the like. “The Launch of Cloud Conductor at Books of Buderim made for a special Saturday morning at the bookshop. We were in great hands as Kellie Byrnes offered up some insights into her love of children’s books and how she feels the child in her allows her to connect with our children. Kellie had us all entranced with her reading of Cloud Conductor. Offering insights and questions for the children to consider about the formation of clouds and how your imagination can be ignited even when you’re not able to go anywhere by just opening up to the possibilities around us. Kellie then took the children through a craft activity creating clouds and rainbows that the children proudly decorated and showed to us all. Kellie offered support and encouragement to be creative but allowed the children to come about their drawings and decorations in the individual ways they could dream up. The children drew what they saw in the clouds that was always interesting and different.